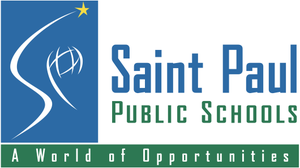 On November 3rd, there will be four seats on the Saint Paul Board of Education up for election. These four positions are currently held by incumbents Mary Doran, Keith Hardy, Anne Carroll, and Louise Seeba. Hardy is the only current board member up for re-election. Back in April, all of the current candidates finished outside of the top 7 on the first ballot vote, after the Democratic Farmer Labor Party (DFL) endorsed candidates excelled in the polling with backing from the teacher’s union. The four favorite candidates heading into the election are all DFL endorsed candidates. They include Zuki Ellis, Steve Marchese, John Schumacher, and Mary Vanderwert. Over the past four years, the current board members have faced a lot of criticism from parents and teachers from issues that range from the handling of the district’s budget to behavioral issues in school. Even more recently there are questions concerning violence in Saint Paul Public Schools, with large scale fights and a gun being found in a student’s backpack. More concerning, is the criticism being thrown at Superintendent Silva and the district leaders for their handling of racial equality issues. Many of the district’s teachers have complained that the district moved too quickly and didn’t have a proper plan for making the school systems more equal and closing the achievement gap. The DFL candidates say they are willing to listen to these issues. Other important issues surrounding the election include, improving test scores and special needs education, expanding budget for the arts, and improving college readiness.